De Ommuurde tuin is the historical kitchen garden of King Willem III. Nowadays it is one of the most beautiful gardens of the Netherlands, owned by Esther Kuiler. She grows more than 400 (!) varieties of organic vegetables, herbs, tubers and fruits on less than one hectare. You can become a member and get a veggy bag every week, or buy beautiful organic vegetables at the garden shop! On Wednesday and Saturday the garden shop is open where you can buy all the products or enjoy coffee or tea at the terras. 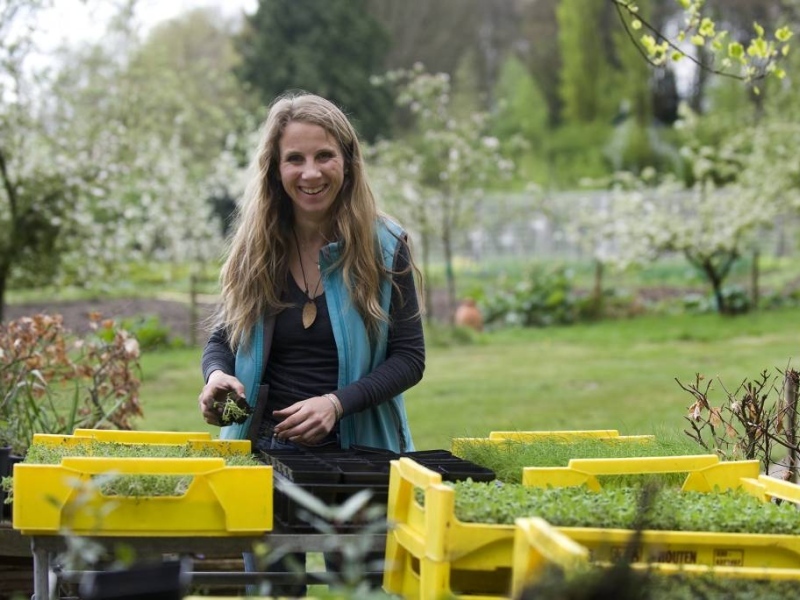 The garden is also the home for bees, owned by a bio dynamic bee keeper. JOIN US. Would you like to learn everything about agroecology in practice? 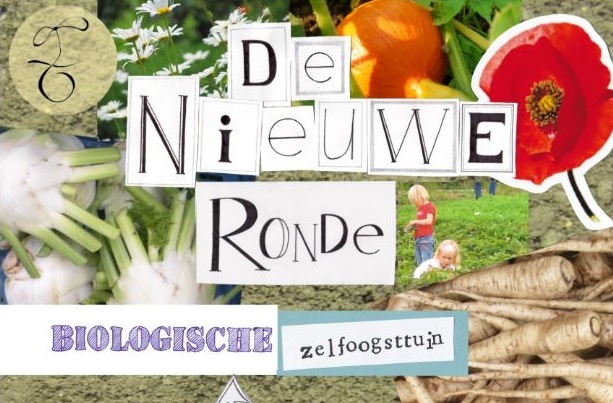 Become a volunteer in the Ommuurde Tuin. You can volunteer from May-November on Monday-Saturday, and from December-April on Mo/Tu/We. Feel free to pass by in the garden for more info. Address: Kortenburg, Renkum (close to Wageningen). See route description or read more about the garden at the website. 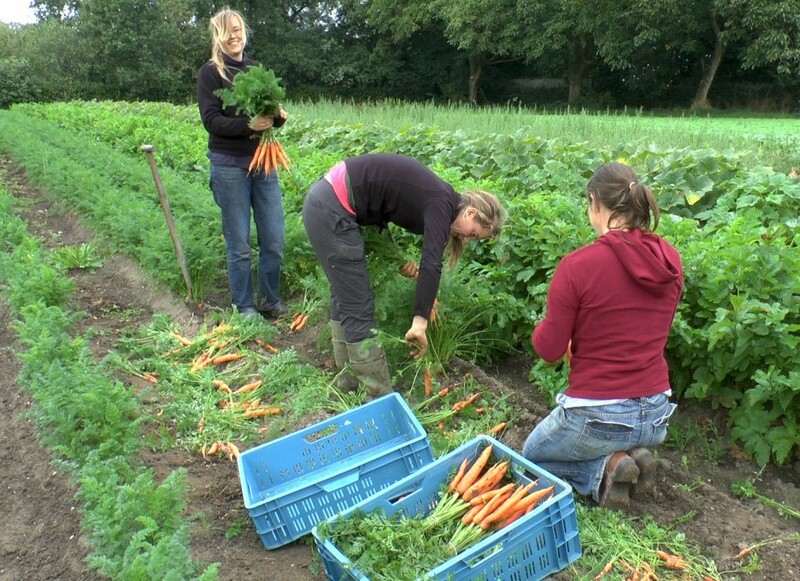 De Hoge Born is an organic care farm, a few minutes away from the WUR campus. In their farm shop, you can buy the most delicious eggs from their own chickens, as well as tasty organic vegetables and other organic products. The Hoge Born is also looking for volunteers! Are you interested in volunteering? Please contact Hans Janssen. 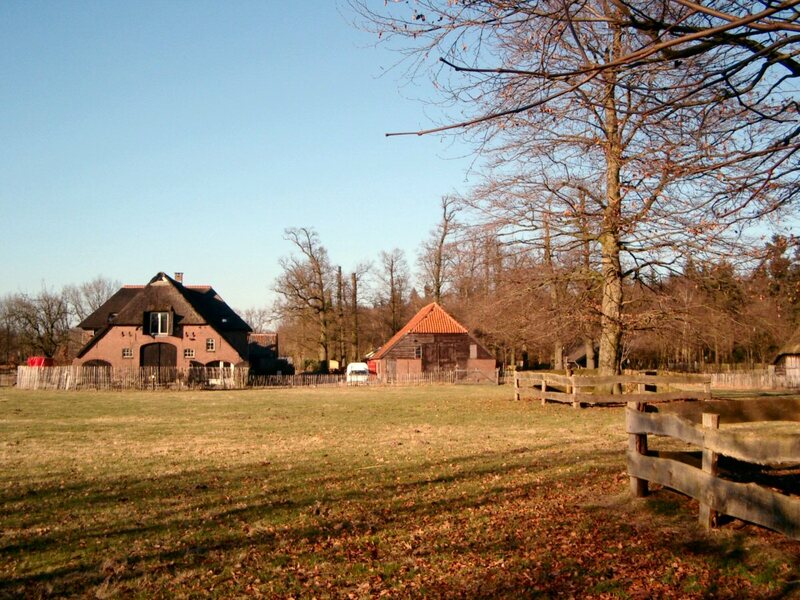 Care farm Makandra – part of ‘s Heeren Loo – is a farm of more than 300 years old, located at the beautiful estate Kernhem in Ede. They also have a farm shop where you can find many organic veggies, as well as fruit, honey, eggs, Remeker Cheese (if you’re looking for real Dutch cheese, this is the one) and organic meat from Jersey cows. Next to the Hoge Born, three minutes away from the WUR campus – you will find the Creative Community Garden. 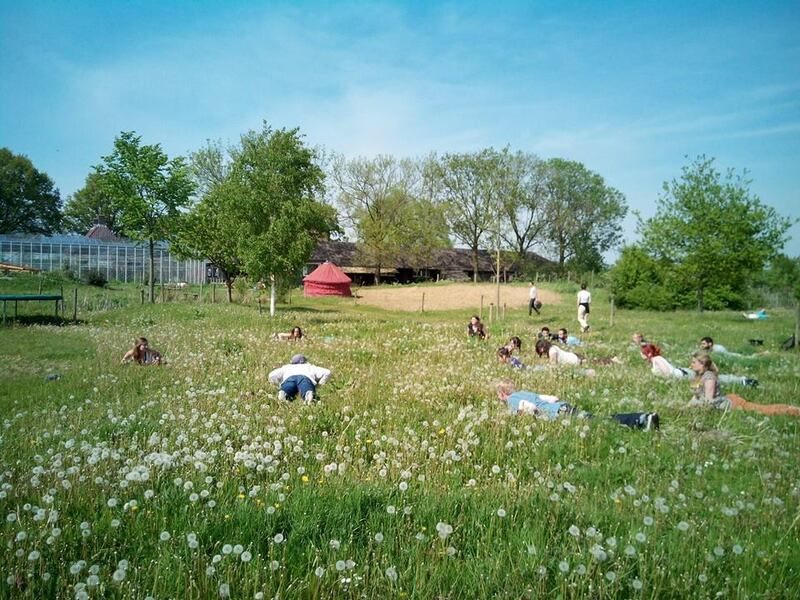 Here, students and Wageningen inhabitants come together to enjoy gardening, permaculture, yoga, meditation, building pizza ovens and greenhouses, have pizza evenings, workshops and many more! You are all very welcome to join! There is also the option to become a member and have your own little plot of land. On the website you can find the open working sessions in the garden as well as parties and workshops. See you soon at the Community Garden! 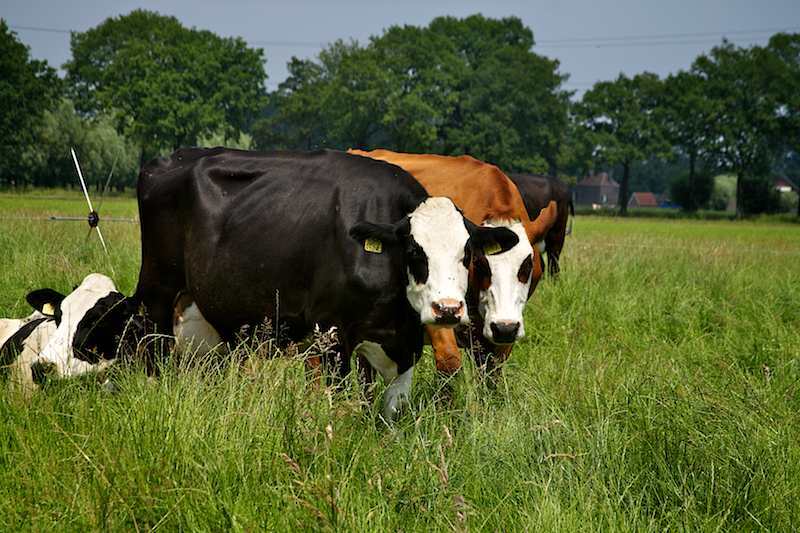 Veld and Beek is a biodynamic dairy farm with traditional Dutch breed of cows. 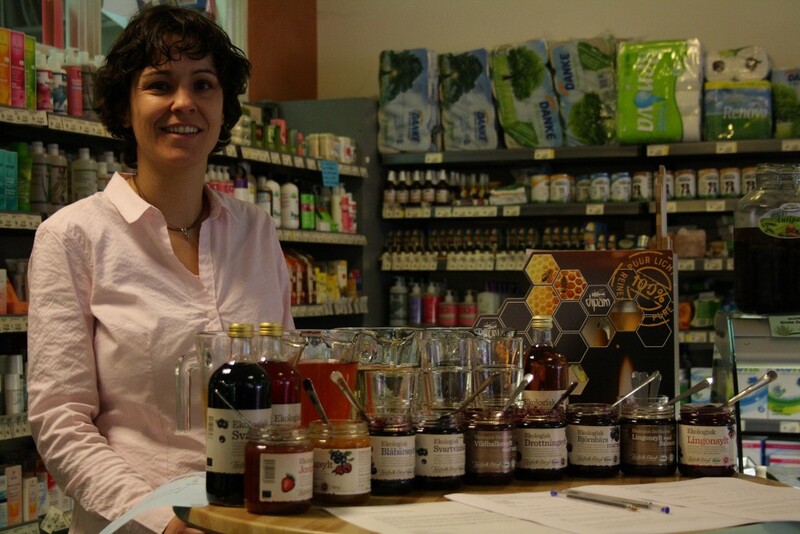 Veld and Beek has a very special way of selling their products in a consumer cooperative. You can become a member and order delicious biodynamic locally produced milk, yoghurt, butter, meat, cheese, cream as well as vegetables and potatoes! Members get a key and they can access the products 24/7 in Wageningen. Veld en Beek is also a special farm, since the stable of the cows is used as greenhouse in summer! Address: Fonteinallee 33, 6865 ND Doorwerth. At the Kardoen in Bennekom, you can find organic products from local farmers as well as many other organic products. It’s also possible to pick up you veggy bag here. De Hooilanden is a beautiful organic dairy farm in Bennekom, north of Wageningen, with 80 ‘Blaarkop’ cows – a traditional Dutch breed. You can buy local products (meat, dairy, butter, eggs) in their farm shop, but there is also the possibility to ‘tap’ raw milk for only one euro per liter (please bring your own bottle). The farm shop is open every Saturday from 10:30- 15:30. First of all its nice to see where your food comes from, how it grows and how its treated. But there’s more reasons: did you know that every year, consumers in rich countries waste almost as much food (222 million tonnes) as the entire net food production of sub-Saharan Africa (230 million tonnes)? Roughly one third of the food produced in the world for human consumption every year — approximately 1.3 billion tonnes — gets lost or wasted, due to processing, distribution, storage, or simply wasted by the consumer. Even if 1/4th of the food currently lost/wasted globally could be saved, it would be enough to feed 870 million hungry people in the world (Report from FAO). What can we do about it? Get some non-processed products from local producers. Tap your ‘raw’ milk straight from the farm, find some tasty organic veggies in all the beautiful gardens surrounding Wageningen, and get some cheese from real Dutch cows. Yummie! Another reason to go local is that you support the peasants, both those from who you buy directly (all the money goes directly to the producer) as well as peasants in other countries who are under threat of violent land grabs by big corporations. Every euro you spend on a local farmer, you are not spending (=fuelling) the agribusiness. A win-win-win situation.